Hi, I´m Estrellita also known as Star, I´m an architect who decided to take a break from a stressing job, began leading tours at a food tour company where I made good friends. Non- of them were ¨certified¨ tour guides, but they all had diverse and rich backgrounds, travelers, university graduates, people who enjoy the good life, and in their personal life's were and still are great hosts, and I truly believe that is exactly what gave them an edge to guide tours in a unique way. THEY were wonderful teachers. Thank you Ana, Memo and Chacha for sharing with me how y´all run your outings. After having the chance to lead more than 3.5 K people on food tours it became clear I wanted to keep on sharing our food...and then something else. For me, it was always more than only sharing food spots, I always gave them a cultural twist. On each outing I set my mind on opening a window for all of you to see how we live and carry our traditions. By your comments after the tour was over and thanks to all your 5 star positive reviews it was crystal clear that the cultural twist was something unexpected, and that was exactly what had enriched the tour in a way that made it the highlight of your trip. There is so much to be shared with you my friends, sometimes the only way to expand on this is to become independent. 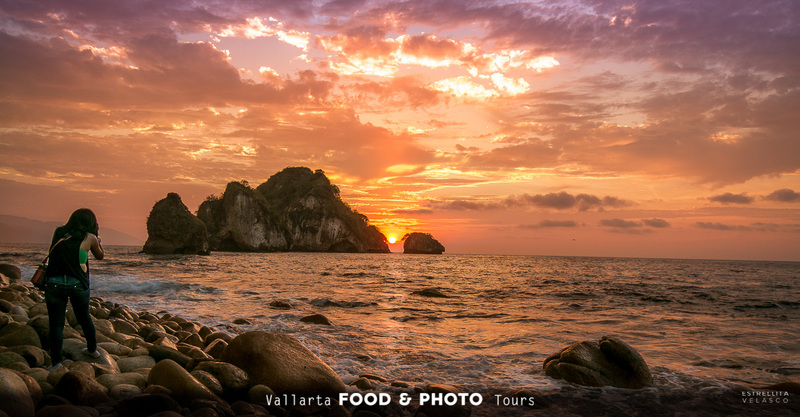 It´s in this way that me and my friends/partners can offer one-of-a-kind experiences: a blend of culture, food, fun cultural facts, Mexican spirits, and beautiful photos of your vacation. As independent local guides we have all the freedom to tailor experiences according to your interests. Today it´s clear, our purpose goes beyond taking you to iconic places to take good vacation photos of you, family and friends, or taking you to the best hidden food gems in several neighborhoods of Puerto Vallarta; our purpose is to help you immerse in our culture in a fun way, to help you be less of a ¨tourist¨, to do things like a LOCAL.